Certain patients present a health care conundrum. “Super-utilizers” account for only five percent of patients, but they accrue more than 60 percent of health care costs. These patients make frequent trips to hospital emergency rooms or have repeated inpatient hospital stays, resulting in costly health care, but not necessarily good-quality care. For example, one Pennsylvania woman had more than 50 CAT scans within a short span of time at various area hospitals. Super-utilizers often have multiple chronic medical conditions and social complexities that make their care difficult in a fragmented care setting. Aligning Forces for Quality South Central Pennsylvania (AF4Q SCPA) wanted better for their patients. Clearly, emergency room visits for acute episodes would not address the larger issues that repeat visitors face. By enhancing primary care, emergency room overuse will decrease, and along with it, costs. 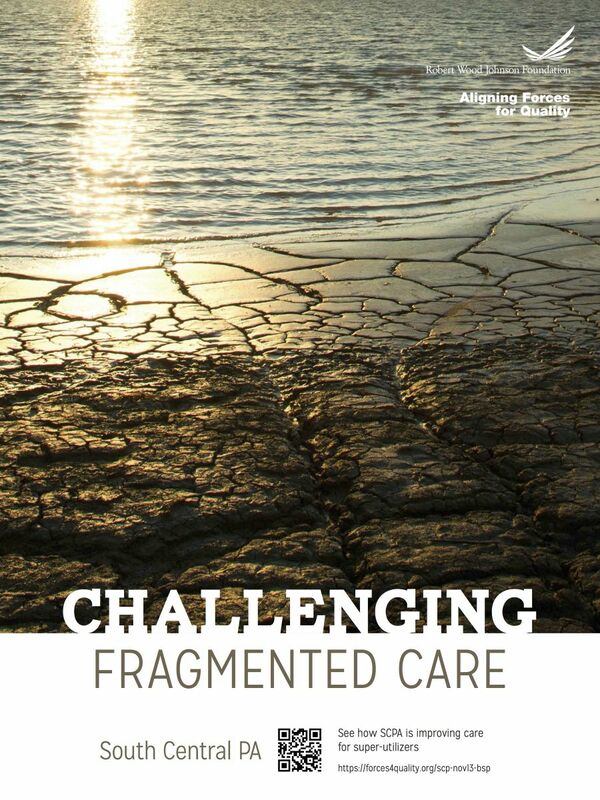 AF4Q SCPA also aims to improve the quality of care and reduce re-hospitalizations. The Alliance kicked off its super-utilizer program in February 2013, with interest from the Pennsylvania Department of Public Works and the Pennsylvania Department of Health. The High Utilizer Collaborative includes WellSpan Medical Group, Lancaster General Health, Pinnacle Health, Crozier Keystone, and Lehigh Valley Health Network, all committed to a two-year learning collaborative. Since beginning the super-utilizer initiative, Wellspan Medical Group has enrolled 40 patients. For these 40 patients, average monthly hospital charges have decreased by 60 percent. Inpatient event frequencies have decreased by 74 percent. Now, a lay leader curriculum to engage local communities is under development, as is a faith-based plan and other patient engagement tools. AF4Q SCPA also is working with state representatives to access Medicaid data to inform its super-utilizer efforts further.